Her life has been defined by hard work and opportunity. 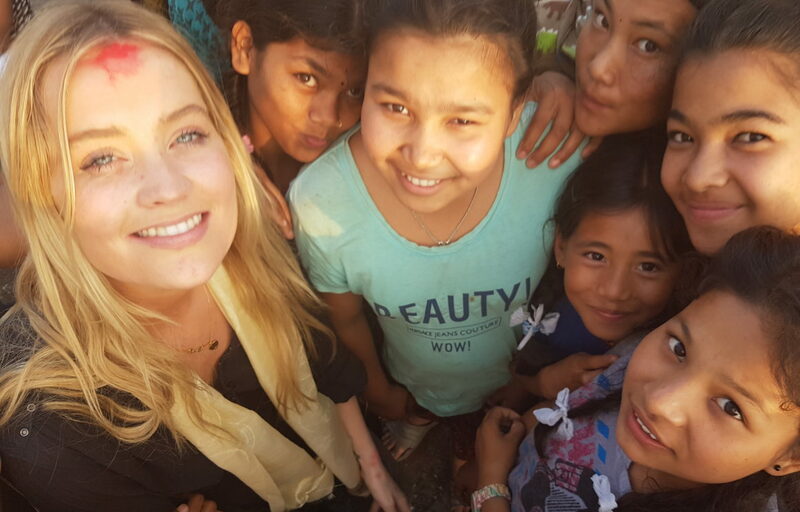 But on a recent trip to Nepal with UNICEF Ireland and ECHO, Laura Whitmore realised how the good fortune of where she was born has impacted on the choices available to her. ‘Don’t forget us’, the children of Nepal pleaded with the TV presenter, jewellery designer and now ballroom dancer. And she won’t forget them, or their hopes and dreams and determination despite all the odds, and their inspiring vision for the future. Go to www.emergencylessons.ie for more information or schools packs about the work that the EU and UNICEF are doing together to prioritise education in emergencies.